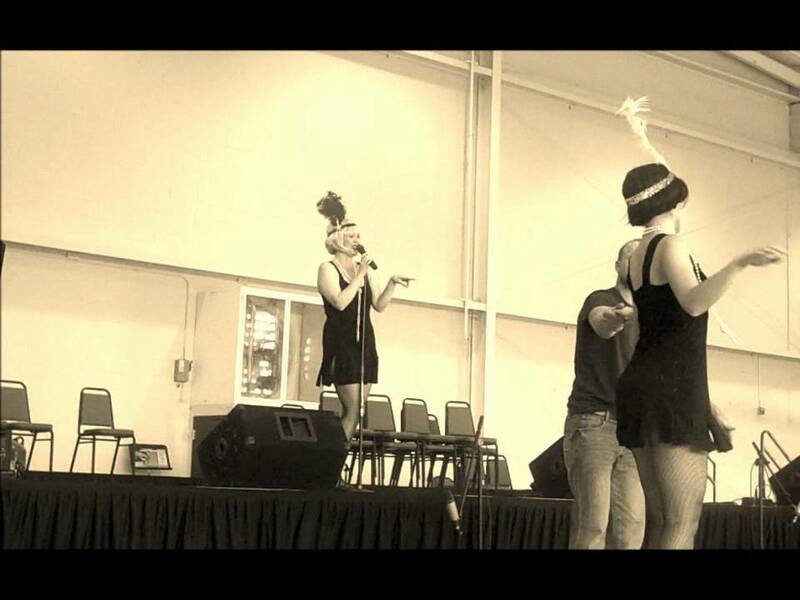 Dolls Through the Decades lets your audience enjoy music from 1920s-1960s! A costume for any occasion or event! The Manhattan Dolls are swing-style female vocal trios with the sound of The Andrews Sisters that sing tunes from the 30s, 40s, 50s and 60s The Dolls perform for military events, air shows, award ceremonies, cruise ships, parades, jazz clubs, concert series, corporate parties, holiday events, you name it! They have been featured on BBC Radio London as well as several television appearances. The Manhattan Dolls are available for hire with their 4 to 6-piece combos, with CD tracks or even a cappella as carolers during the holidays. What a wonderful and patriotic for this veteran's weekend. We completely enjoyed the performance at the Elks Theater in Prescott, Arizona. The Manhattan Dolls are so wonderful and professional. The entire team , band and dolls gave us a great show! Professional, Dynamic, so much fun! We loved them! We hired the Dolls for a corporate event in NYC and could not have been more pleased. From start to finish, they were top-notch. Can't wait to hire them again. Hop aboard the *Chattanooga Choo Choo* and join The Manhattan Dolls on a *Sentimental Journey* through the great music of the 30s and 40s. Sit back and enjoy these timeless classics, or if you're *In the Mood* get up and dance! Sentimental Journey blends beautiful ballads with your favorite toe-tapping tunes, and of course, in classic USO fashion, takes some time to honor our brave men and women in the military. From boogie woogie to the blues, Sentimental Journey celebrates the best the Great American Songbook has to offer. Sentimental Journey can range in length from 30-120 minutes with live musicians, CD tracks or a capella. ROCKIN' WITH THE DOLLS, 1950s/60s Revue! The 50s and 60s were filled with the new sound of rock and roll, the cool beat of Motown and the sweet harmonies of the girl groups. Get up and dance along as we take a tour of the songs made famous on American Bandstand and played on the jukebox in your favorite diner. With hits like *My Boyfriend’s Back* and *You Can’t Hurry Love,* you’ll have sweet dreams with *Mister Sandman* after Rockin' with the Dolls! Rockin’ With The Dolls can range in length from 30-90 minutes with live musicians or CD tracks. Walk in a *Winter Wonderland* as The Manhattan Dolls take you through all of your favorite Christmas tunes a capella or with CD tracks. Hire these adorable girls with a pin-up look as carolers for your holiday party or event! The Manhattan Dolls are a New York City-based swing-style female vocal trio with the sound of The Andrews Sisters that sing music from the 1910s, 20s, 30s, 40s, 50s and 60s. Started by former USO Girls, The Dolls travel the world performing for military events, air shows, award ceremonies, parades, jazz clubs, concert series, you name it! They have been featured on BBC Radio London, Fox and Friends, LX 4 NY, The Tucson Morning Blend, Cincinnati Local 12 and more. They have the pleasure of performing with famous bands including The Jive Aces in the UK, The Cotton Candies in France and The George Gee Orchestra and The Stan Rubin Orchestra in NYC. The Manhattan Dolls are available for private bookings and are constantly touring the US and abroad. Client is to provide basic lighting and sound: Speakers, CD player or iPod hook-up, 3 wireless, hand-held microphones, stage monitor if with live musicians. *The Manhattan Dolls are able to provide sound equipment for NY/NJ area for an additional $150 fee.